The so-called "authorities" are doing anything and everything in their power to make sure this continues! Making sure whales have no protection. Making sure the japanese keep slaughtering whales at will. Making sure kind-hearted activists have their hands tied. Sick bunch. Please don't buy their cars, that'll hurt them the most. 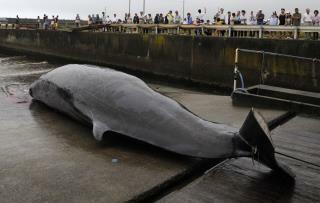 I hope the Japs will choke on the whale meat. What a bunch of uneducated idiots.